BCA Structural Engineering, Inc. (BCA) established in 1989, has become known as a premier firm in the Bay Area by providing the highest quality design solutions to a diverse clientele. BCA focuses its expertise in low to mid-rise office buildings, educational facilities, retail centers, industrial, and residential projects. BCA is dedicated to providing the best technology to the engineers, which allows fast and efficient means to completing projects. The firm utilizes the Internet to communicate and coordinate with consultants and uses AutoCAD 2000 for compatibility. This results in efficiency as well as quality and consistent results to the client. 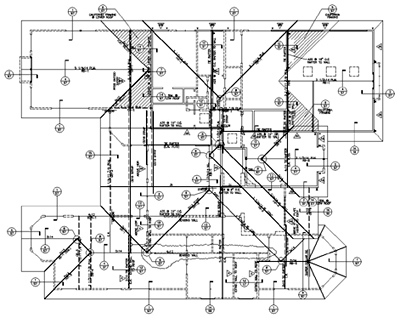 BCA's experience with requirements of Bay Area Building Departments, extensive knowledge of structural codes, as well as Zone 4 seismic design criteria is invaluable. With experience and thorough analysis of structures, BCA is able to expedite design calculations and drawings through public agencies. BCA is committed to working closely with clients and consultants from the early planning stages through completion to overcome challenges and meet the necessary demands. The engineers attend ongoing education in pursuit of the most effective and efficient means of design. By approaching each project as a team, BCA is able to find solutions to unique design problems. Our long-standing clients can attest to the quality of our designs.